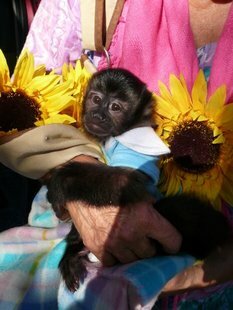 Hi, I am Mary Lynn the monkey lady of SunShine MonkeyShines. I’ve spent 27 years educating and entertaining all ages, both young and old, with my wonderful troop of Capuchin Monkeys. foundation book for all of these books and for all of our BLOGS here on this site and on the www.primatecare.com site that I also BLOG for. Please take the time to checkout the SAMPLE chapter for the "Baby Book!" OUR BOOK IS NOT AVAILABLE IN PAPERBACK It was designed to be easy to read from your computer or other device. We did not wish for the price to keep anyone from purchasing this informative book. 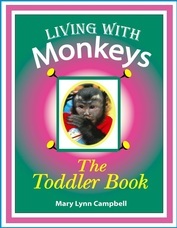 It is a must read type of book about living with monkeys! We also love saving the trees. During the last 27 years, I have opened my home to many monkeys. Some of them have come with really wonderful personalities and great behaviors but then there have been some that have not had many good qualities at all! This book could be very helpful to many different people, especially if you are seriously contemplating becoming a monkey owner or caregiver. 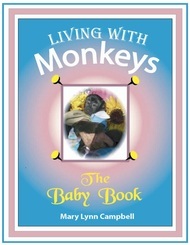 You might like this book because you are interested in reading about people, who are raising pet monkeys in their homes, or it might be you need some help with your own monkey.